Reflecting on our history, many things have changed at Fort Hays State University, but our pride and our spirit are constants. In 1902 the college was founded as the Western Branch of the Kansas Normal School. Since then, we have been named Fort Hays Kansas Normal School, Kansas State Teachers College of Hays, and Fort Hays Kansas State College. Our mascot has also changed over the years. From a more realistic tiger in the 1910s-1930s to fierce tigers, ready to take on the opposing team in football and basketball, during the 1940s and 1950s. In the 1960s our tiger became more friendly and whimsical before becoming the Victor E Tiger we know today. Over the years our student traditions have also evolved. In the 1910s through 1940s freshmen wore beanies around campus to symbolize their school spirit. 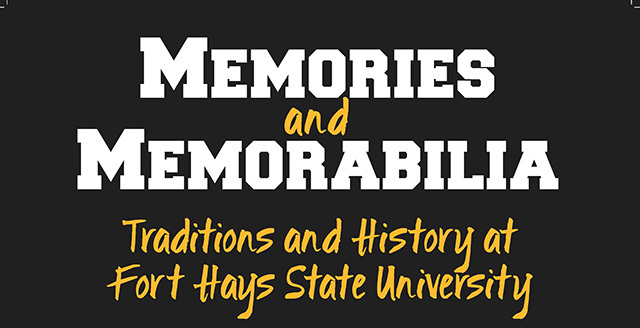 Tradition says that if an upper-classman saw a freshman without his or her beanie they were allowed to quiz him or her about FHSU history.